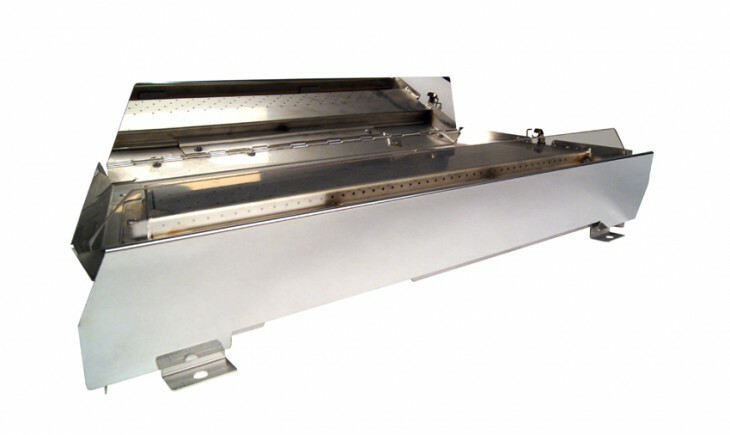 This burner is made of stainless steel and can be used for indoor and outdoor applications. Available sizes include 18", 24", and 30" burners. A contemporary look for traditional and modern applications. Natural Gas Only. The G-22 vented burner comes in manual or electronic ignition remote. The G-22 vented burner can be accessorized with fire glass and gems.